The TransFormation program provides training for church leaders who serve in all denominations and whose first language is not English. The program is open to women and men who have their church’s support and encouragement. It combines study, spiritual growth, worship and community experience which are essential in the formation of Christian leaders. It is designed to help people overcome the obstacles of time, money and language that have previously prevented them from attending existing courses of college study. 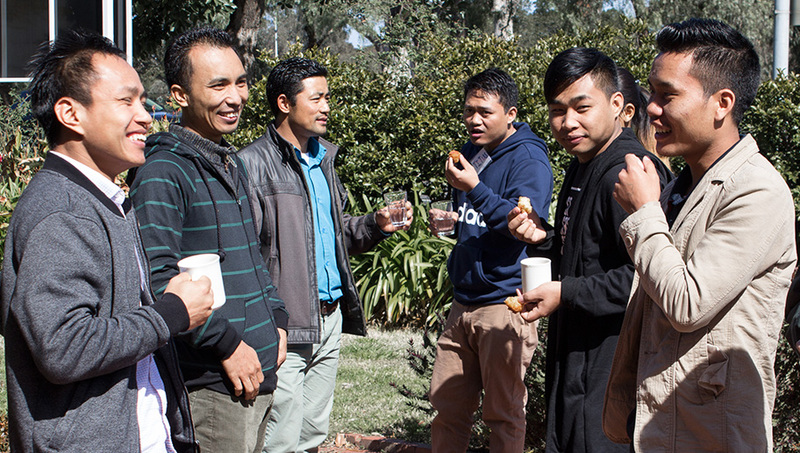 TransFormation is a great opportunity to spend time learning and growing in faith and leadership as you share fellowship with like-minded people who seek to follow Christ and serve in churches in Australia’s multicultural society. The TransFormation program involves ten Saturday sessions per year for three years at Whitley College. Students who complete three years of attendance receive a letter of recognition from the Baptist Union of Victoria and Whitley College. Sessions include time for lots of questions with the opportunity for discussion and sharing ideas and talking through issues. The sessions are taught in English but allow time for questions and sharing in your own language groups where possible. Tutorials provide the opportunity to reflect upon real life issues confronting you and your church. Each Saturday a sponsoring church provides an authentic meal from their tradition. There are breaks for tea and coffee which offer opportunities to meet with people and share your common story of faith and effective church mission. TransFormation students can choose to enrol part-time in the Diploma of Theology offered by the University of Divinity. Please note that a different fee structure applies to the Diploma level. Saturday sessions provide the lecture material. Diploma students are required to do further reading, attend extra tutorials and submit assignments for assessment. Several successful Diploma students have continued their studies to complete Bachelor and Masters degrees in Theology.